19. Forgetting about Google Webmaster Tools. 23. Treating Pages as Posts and Vice-versa. 24. Not Backing your site before updating any plugins or themes. 30. Letting comments go up unmoderated. As a beginner, there’re always some common mistakes we make with our WordPress websites. In this post, I will list 30 of the crazy mistakes you’re likely making. We’ll also see how to fix them. If you’re not backing up your website regularly, then this is crazy mistake number one you’re making. Imagine waking up someday only to find your website hacked. Or say, you were trying to tweak something that ended up breaking the entire site. Or maybe a new plugin you just installed screwed everything. How will you respond to such situations? You cannot solely rely on your host for backups. So you’ll need to create regular backups for your website. Use plugins such as Updraft Plus to schedule regular backups. Make sure you save backups to a different source such as Dropbox. This is much more safer than saving them on your hosting disk. This makes you look a total newbie and unprofessional. Because you’re losing out on brand recognition. Web browsers are quick to recognize in a snap if you use a nice and unique favicon. Without a favicon, your website loses credibility and trust from visitors. Oh and by the way, did you know that a browser will output a 404 error in the console if it doesn’t find a favicon? If you already have a logo try online favicon generator such as realfavicongenerator.net to quickly whoop up one. Another great online favicon maker is favicon.cc. This one is great if you’d like to start from scratch. Adding a favicon in WordPress is simple. In your admin dashboard, go to Appearance -> Customize. From there, you should be able to upload your new favicon easy-peasy. So go get your website some credibility by adding a favicion. This is yet another crazy one. Have you ever changed or added just one line of code to functions.php from WordPress editor? So you refresh only to see a White Screen of Death? When functions.php code has got an error your website breaks down and you won’t be able to even access the admin dashboard. Whenever you’re updating functions.php file, make sure you’re doing it via FTP. The very least you can afford is access to cPanel file manager. As you can see, so many people forget to delete WordPress’ initial Sample page. At the end this page gets indexed by search engines like Google. There’s no harm sample page is doing to your website as such. However it makes you look a total newbie. The solution is simple; delete it. You’ve seen those websites with “Just another WordPress site” tagline? That is how you spot a total complete beginner. Now this one is serious. People and search engines like pretty links. So if your website is still using complex url such as wpchap.com/?p=123, it’s time to get pretty. Now set it to post name. When you installing WordPress, you are suggested ‘admin’ as your admin username. It is upon you to take it or not. If you took it, don’t worry you were just a beginner like everyone else. However, you should now change that username to something else. Should a hacker attempt to target your website, you already made their job easier by making one challenge simple. Change ‘admin’ username to something weird. When you unzip WordPress after download, you notice it’s unzipped to ‘wordpress’ folder. If you’re installing WordPress manually you may make a mistake of adding the folder as it is. This is a mistake because, you will have to type the folder when accessing your website such as ‘wpchap.com/wordpress/ other than just ‘wpchap.com’. It is the content inside ‘wordpress’ folder that you have to upload on to the server. So if you already made a mistake, just move the content inside ‘wordpress’ folder up one level. Just like Sample page, this is an initial sample WordPress post. Not deleting this post lets search engines index this post which makes your website seem to be owned by a super lazy chap. To delete this post, from your dashboard head over to Posts and trash it. WordPress has got a huge repository with hundreds of free plugins. The problem is installing each and every plugin you see. You should only install plugins your website really needs. And in case you nolonger use a plugin, it’s important you deactivate and delete it. Leaving such unnecessary plugins on your website affects your website performance in terms of speed. By default, WordPress gives you the first category ‘uncategorized’. When you create a post, they’re assigned to uncategorized category by default. This makes your blogs filed under “Uncategorized” appear unplanned to readers. Also, you can edit ‘Uncategorized’ category to ‘Others’. This is far better. 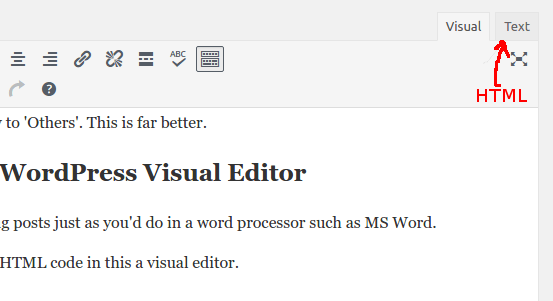 WordPress provide a WYSWYG for creating posts just as you’d do in a word processor such as MS Word. The mistake some beginners do is pasting HTML code in this a visual editor. Such as youtube embedde code. 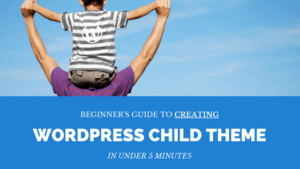 When you purchase professionally developed themes from sources such as themeforest, 9 out of 10 times you’ll find a child theme. The purpose of a child theme is to prevent the theme from overriding your custom changes when parent theme is updated. Upload both parent and child theme, choose child theme when selecting theme to use. If your theme doesn’t have a child theme you can create a child theme yourself. Many WordPress beginners make a mistake of choosing WordPress.com when they actually need WordPress.org. You do not want to make this mistake unless you’re sure about what you’re doing. Most of these updates are usually security updates. Ignoring them is like ignoring to change your car oil for years. Outdated WordPress is prone to security attacks from hackers. What you have to do is.. Regularly update core WordPress and plugins. If you’re still publishing incomplete posts or pages that proves you’re a complete newbie. Such pages or posts leave your readers thinking you were hijacked while writing the post but had to post it anyway. This makes you look unprofessional. Only press publish when post or page is complete and ready for public consumption. WordPress warns you against weak password. If you insist and accept using such a weak password, then you’re making a silly mistake. Weak passwords are easy to guess with brute-force attacks. Stay away from such passwords, letting WordPress generate a random password is actually a better solution. You can safely store the random password somewhere other than using punching a simple password such as ‘catsandparrots’. Thinking that you don’t really need a contact form and you’ll just provide your email where people can contact you on is a mistake. You don’t want to risk letting your personal email to the hands of spammers. Many WordPress beginners forget about basic SEO such as adding your website to Google Search Console and still want their SEO to improve. This is one of the very first things you want to do as soon as you publish your website if you want quick indexing. You can’t help but install a good SEO plugin if you need to follow SEO guidelines. Ignoring SEO Plugin is like driving on a road without road signs. You need an SEO plugin such as Yoast to help you follow the right SEO guidelines your content creation. During WordPress installation, beginners may mistakenly discourage search engines from indexing their site. This is a mistake because robots will be blocked from crawling your website. Unless you’re sure about what you’re doing, you may want to uncheck that box and allow search engines spiders to crawl your website. Taking photos straight from you iPhone of about 8mb and uploading them without optimization is a mistake. This makes your web page take long to load. This in turn affects your SEO and traffic. Make sure you optimize you images for web before uploading them for use. Or, if you do. At least use image optimization plugin such as EWWW Image Optimizer to help optimize and reduce your image size. 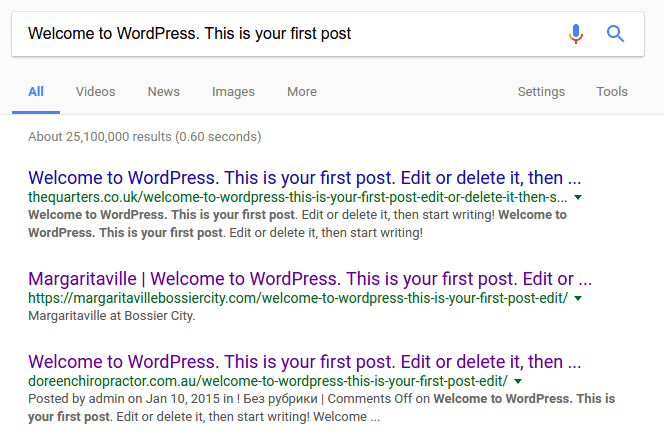 Some WordPress beginners don’t understand the difference between pages and posts in WordPress. Like creating an ‘About’ page under posts instead of page. Some themes and plugins can break your website soon after you activate them. Figuring out what went wrong may take you hours. The best thing to do is backup your website prior to installing a new theme or plugin. This makes it easy to roll-back if things go wrong. This is another rockie mistake newbies make. Applying custom changes such as custom css to the parent theme. These changes get overridden should the theme be updated. 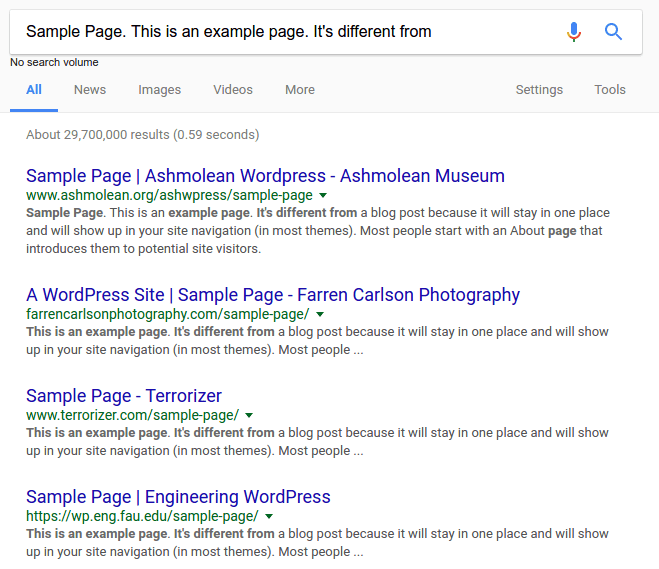 Changing your post url after publishing it leads to a 404 page not found error for traffic coming from search engines that have already indexed your post. As a beginner you may not know what impact this has on your website. The solution is to create a 301 redirect which will redirect traffic from the old url to the new url. Plugins such as Yoast can do this very well. 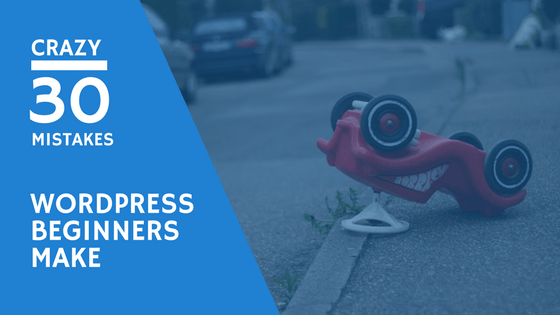 Beginners are likely to fall for WordPress up-sells especially from hosting providers. You end up purchasing services you don’t even need simply because hosting providers are taking advantage of your state. Some of the upsells beginners are convinced to include SSL certificate which you don’t really need for a simple blog, dedicated server which you don’t really need when starting up. As a beginner you should know what exactly you need, make a decision and stick to the plan especially when it comes to hosting a WordPress website. Page load speed is a very important aspect for any website. Cache plugins play well when it comes to implementing the best catching practices to help your web pages load faster. Plugins such as w3 total catche will dramatically improve your website performance and will make both people and search engines fall in love with it. Plugins from unreliable sources are risky to use on your website. They’re like injected with code that will hurt your website especially nulled themes or plugins. Themes from WordPress theme repository are safe and have been checked and passed quality test. If you let comments go un-moderated you’re at a verge of getting spammed. Spammers take this opportunity to post their links as comments and will make your content look un-managed. Make sure you moderate your comments and choose which ones to approve and those to delete. 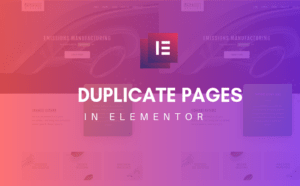 Installing ekismate plugin will make your life easy. If you’re not making mistakes, then you’re making a mistake because you’re not learning. Don’t be afraid to try out something new. All you have to do before is; backup your website before making a mistake. Emunot, thanks for sharing such valuable information! It’ll definitely help young SEO specialists, who just starting their career. I know that a lot of problems appear when it takes to 301 redirects – sitechecker.pro/301-redirect/ Some people forget when moving to a new domain, to take into account the conditions of the two major search engines – Runet Yandex and Google. You’re welcome James. I agree with you on how important 301 redirects are important even after you’ve changed post’s URL sometimes we forget to redirect the old URL’s traffic to the new URL. Thank you for sharing a valuable resource too.